Quality of eyecare and eyewear products varies dramatically from one place to another. As long as you are a patient at Malara Eyecare, please know you will receive the most comprehensive, individual eye health care and the finest eyewear and contact lens products available. We hope you will always be comfortable and confident sharing our philosophy with others. When you do, we want to express our gratitude with a program extending you substantial savings on your next product purchase. When you refer a new friend or family member to our practice and they bring in the attached card, you will receive a $20.00 gift card to be used on your next product purchase. The more cards we receive, the more money you save. It’s that easy! We look forward to continuing to serve your eye health needs! Print this card and write your name. 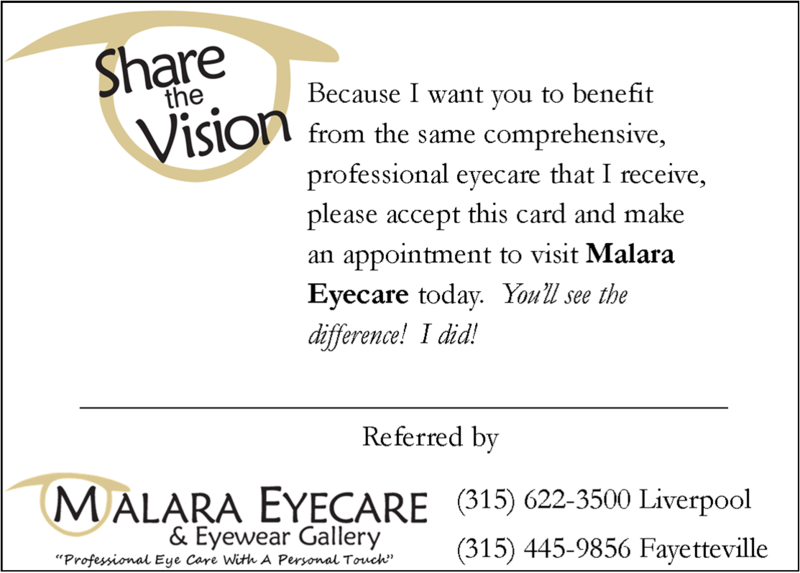 When your friend or family member brings the card - we will send you a $20 Malara Eyecare Gift Card! *Must be a patient at Malara Eyecare. Last exam date will be checked. 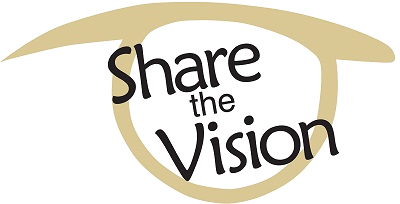 Click below to print your Share the Vision coupon.